Burris :: Manufacturers :: Tactical Works, Inc.
Burris mounts have long been favorites because of their solid strength, beauty, and custom fit. 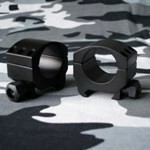 Each mount is precision machined and finished to perfection. 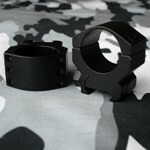 Each ring is machined to exacting tolerances throught manufacturing. Curability is crucial to accuracy.